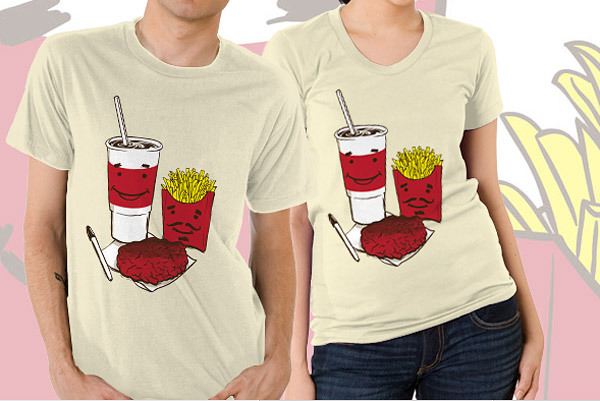 Do you recognize the suspicious looking foodstuffs on this t-shirt? Clear the area so you can think. Wait a second. 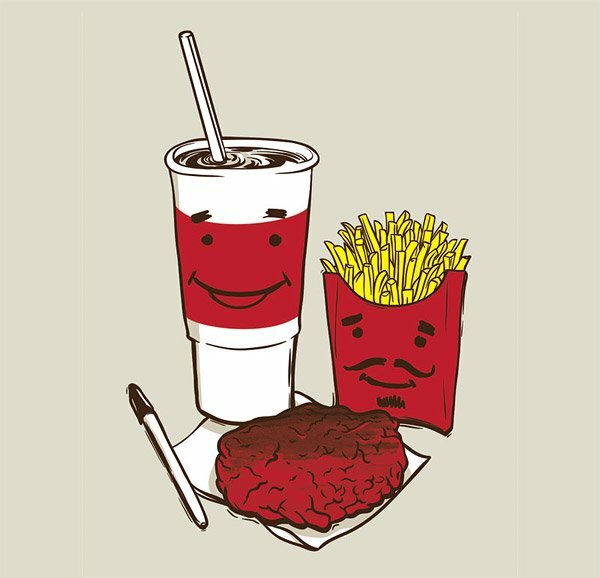 It’s Master Shake, Frylock and Meatwad before they got famous. One day only.